Traditionally, South Florida real estate has grown faster than many other U.S. real estate markets. Every year, cities like Fort Lauderdale, West Palm Beach, and Miami attract numerous homeowners, buyers, sellers, builders, landowners, businesses, brokers, agents, and developers in search of residential or commercial property. Stevens & Goldwyn, P.A. represents such clients in various real estate transactions and litigation matters. Most of the people are unaware of the importance of a real estate lawyer Miami that can offer you the desired services related to property disputes. It is important for you to choose the right business law firm for managing your legal glitches and getting adequate guidance in similar cases. Moreover, it is necessarily important for you to pick a reliable service provider that can offer you the right information about a property that can eventually help you in making an optimum choice. Sometimes a land is disputed and there is no point in investing in such property. Thus; you have to make sure that you choose a reliable real estate attorney Miami that holds a good experience in their domain and can serve you with the top-notch services. Here are some of the aspects that depict the importance of these real estate lawyers that everyone ought to know. One of the biggest reasons to rely on real estate lawyer is the fact that you can always rely on their proficiency in finding the right property that is free from any glitches. There are a lot of cases in which people got involved in the sale or purchase of a disputed property that eventually puts the owner in trouble. Thus; it is your responsibility to check the background of the seller and the property before making any purchase. It becomes quite challenging for you to manage these aspects related to a background check on your own, and hence, you would certainly require a promising service provider. Just explore the internet to get the list of available real estate lawyer Miami FL that can offer you the desired legal services. You can always expect out of the box legal services from the ones that are serving numerous clients for their legal glitches related to the property. You just can’t expect appropriate results in your favor from a lawyer that hardly possess any expertise and knowledge about a specific domain like real estate. Thus; you have to emphasize the fact that only a real estate lawyer can offer you the desired services. These are some of the services that you can only expect from a promising real estate lawyer. While a real estate agent or broker may be very helpful in locating an attractive piece of property, the legal aspects of the transaction are best handled by a real estate attorney. 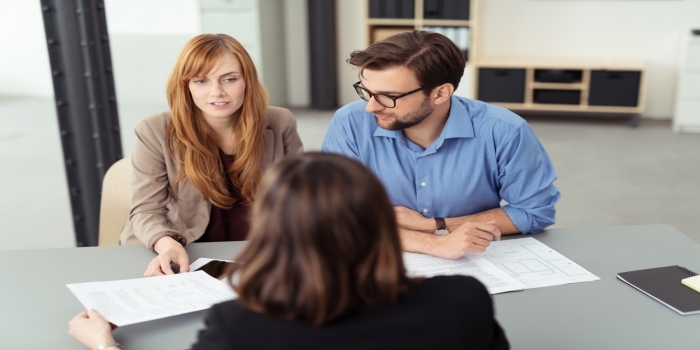 Real estate agents and brokers are committed to making the sale and collecting commissions, but may not have discovered that the chain of title is defective. They may not be concerned with whether the language of the purchase or sale agreement creates a liability for you. Attorneys exclusively represent your best interests when overseeing a real estate transaction. Through proper negotiation of deals, sound purchase and sale agreements, and financing advice, we help you protect your rights and skillfully manage a substantial investment.